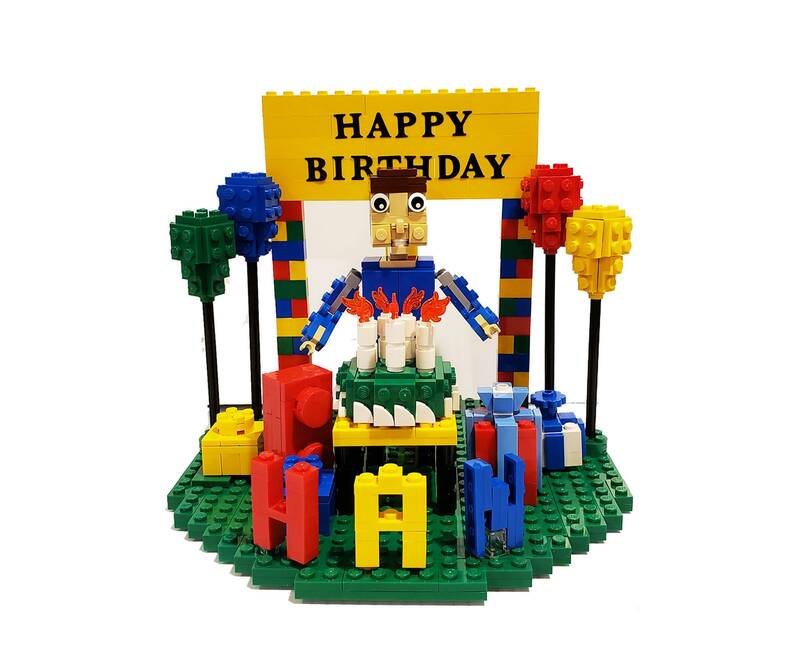 Completely customize-able Birthday Cake Topper made from LEGO® elements.. Name up to 10 letters (additional letters for additonal fee). Colors and decorations on topper can be changed (rarer colors and additional decorations for an additional fee). Number of candles can be from 1-12 candles. Figure can be a boy or girl. I will customize it up to 2 times with no additional cost, any additional changes will result in an additional fee for extra labor. Model is 8 inches wide, 8 inches deep and 6 1/2 inches tall.